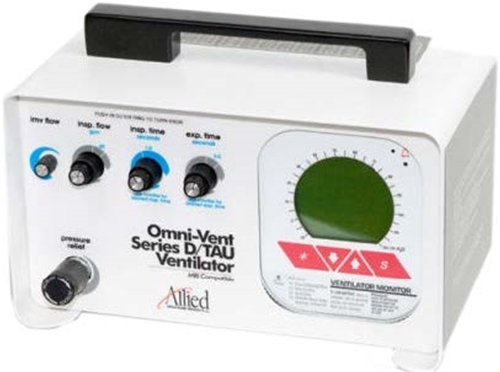 The OmniVent Series D Ventilator is MRI-compatible and unaffected by electronic interference. The OmniVent Ventilator is designed with internal simplicity to provide reliable performance and ensure easy usage. Quick-connect features giving versatility to meet all clinical needs. Continuous flow intermittent mandatory ventilation. High frequency and jet ventilation.